A true legacy in outstanding leather accessories since 1983. The hallmark of David Hampton is understated design innovation with remarkable quality, offering luxury styles for Men and Women inspired by the spirit of travel. David Hampton creates products that endure and go with you on life's journeys. Whether packing for a country weekend away or an exotic trip abroad, travel with only the very best luxury leather items. The Richmond collection not only boasts a wealth of colours it is also created from chrome-free eco-friendly leather. Soft to touch, yet hard wearing the Richmond collection encapsulates a true sense of luxury. 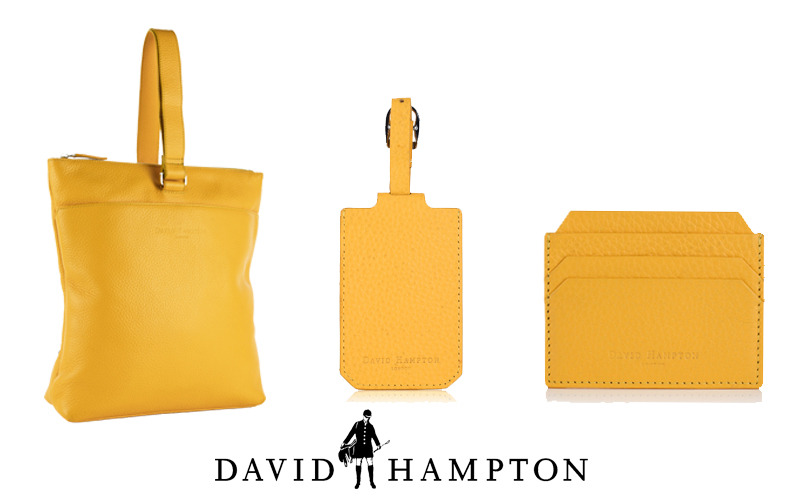 David Hampton’s wide range offers a fortune of leather, creating the finest accessories to accompany life’s most important journeys. Now one lucky person can be in with a chance of winning a selection of luxury leather goods from the Richmond collection. Consisting of the Little Molly Backpack, Slim 6 Card Holder and Luggage Tag worth over £500. The perfect selection of sunny travel essentials to keep you organised on the next adventure.